Oftentimes the production of manufactured products is easily divisible into specific jobs, and the job costing method illustrated in the previous chapter is appropriate. However, the job costing method does not work well when the production cycle involves a continuous flow of raw materials through various processing departments, and the finished output is characterized as homogenous units, each displaying the same basic characteristics. Examples of such “processes” are numerous. Wood pulp is processed into giant rolls of paper, refineries process crude oil into gasoline, iron ore is processed into steel, sand is processed into glass, and so forth. The physical nature of these processes makes it hard to identify and associate specific units of direct labor and direct material with the final output. 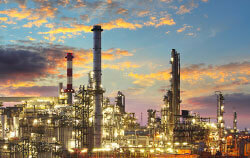 For example, oil is used to produce gasoline. Oil is pumped from the ground, transported, refined, and placed in storage. Throughout the process it is stirred, cracked, and blended so that it is not possible to trace a tank of gasoline back to a specific barrel of oil. How would one associate the cost of barrels of crude oil with specific gallons of finished gasoline? One would logically try to develop a mathematical approach that would divide the total cost of all oil and allocate it in some proportion to all the gallons of gasoline. This is the essence of process costing. 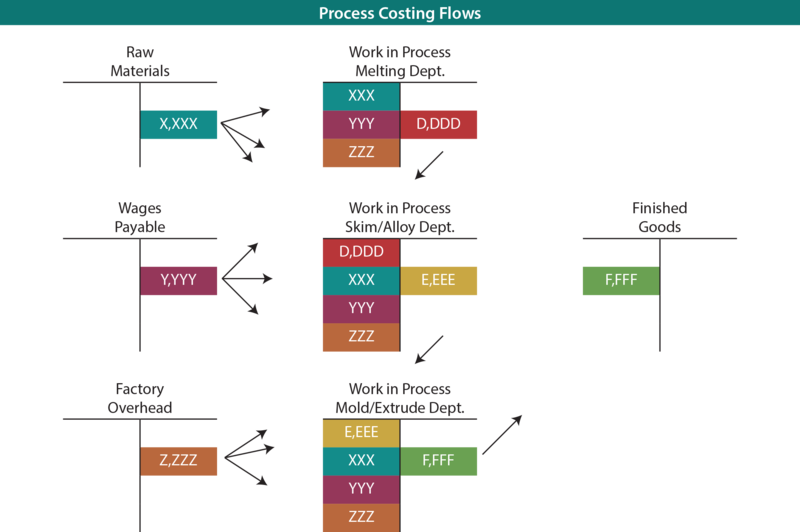 Process costing is methodology used to allocate the total costs of production to homogenous units produced via a continuous process that usually involves multiple steps or departments. Note in the above graphic the familiar inventory categories relating to raw materials, work in process, and finished goods. However, rather than observing work in process as being made up of many individual/discrete jobs, see that it instead consists of individual/discrete processes like melting, skimming, and extruding. Material can be introduced into each process. Ore is introduced in the melting stage, alloys in the skimming stage, etc. (this is equally true for labor and overhead). This necessitates the employment of a separate Work in Process account for each major manufacturing activity. 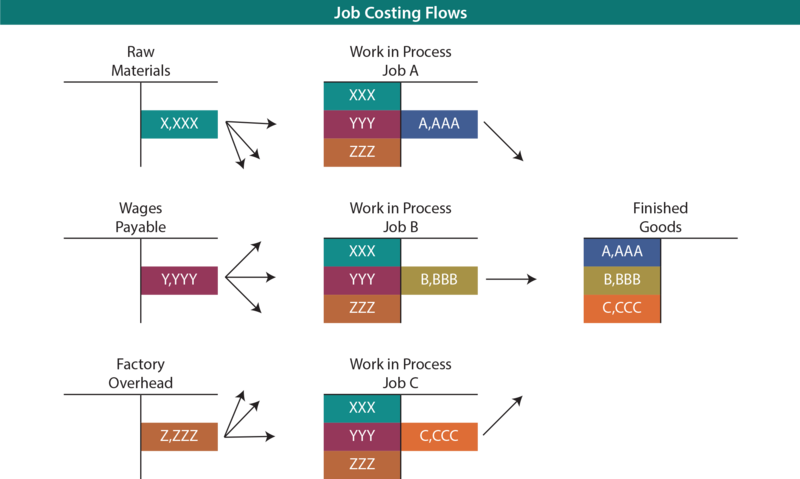 Examine the graphic below that compares job and process costing, noting in particular the difference in how costs are shifted out of work in process. Process costing entails handing off accumulated costs from one department to the next. Describe the approach to accumulating product cost using a job costing system. Describe the fundamental characteristics of a process costing system. Compare and contrast process costing and job order costing systems. Describe the steps in applying process costing.